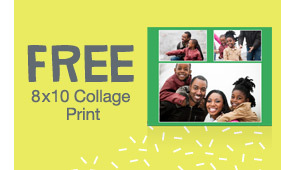 To get your free print just click the link below to go to the Walgreens website. Once on the website just add an 8×10 collage print to your cart and enter code: COLLAGE4FREE at checkout to make it free with in store pickup. Expires March 20, 2013.